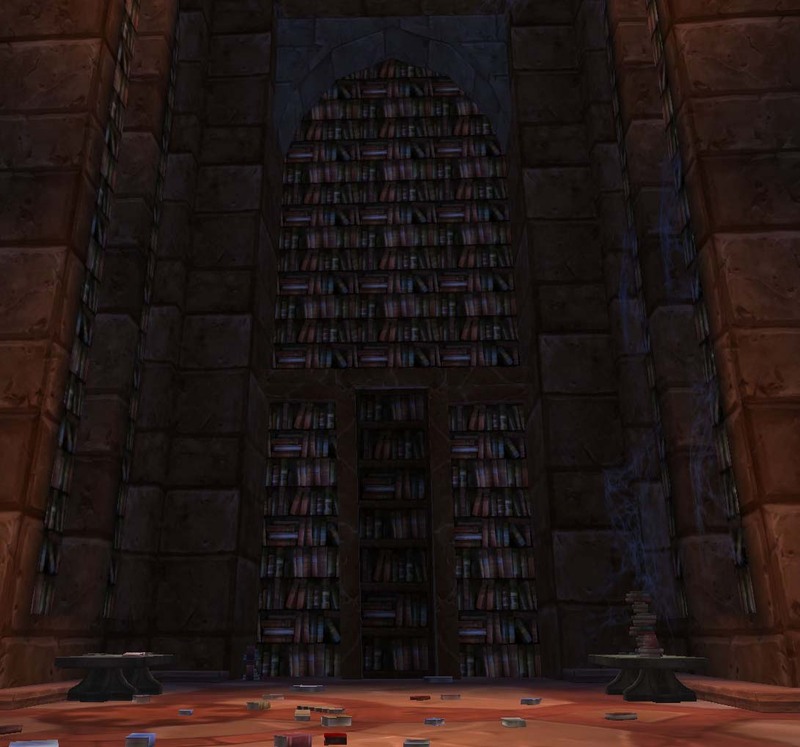 The theme this week of Blog Azeroth is “a few of our favourite things”, suggested by Ardol. Given that it involves lists, I couldn’t resist taking part. However to avoid a four thousand word essay on why I prefer that poet over that one, or why these are my favourite movies I’m going to keep it mostly WoW related. So without any further ado, here are some of favourite things. Sergra Darkthorn: Having successfully defended Crossroads for the last 4 years, surely its about time Sergra got a promotion. She’s everything an Orc female should be, tough, scary and kinda hot in a deeply disturbing fashion. Sergra for Warchief! Rayne: She pops up everywhere the Argent lot do but doesn’t really do anything that exciting apart from fight in the battle for Lights Hope and even then she’s killable. Hopefully come Cataclysm, she’ll get a proper job in her own right rather than just hunting for savage fronds. Shandris Feathermoon: What exactly did the General of the Sentinel Army do to upset Tyrande that got her stuck in the back of beyond for the last 5 years? Sure said back of beyond is named after her but …. its still a depressing dump with zero action going on. 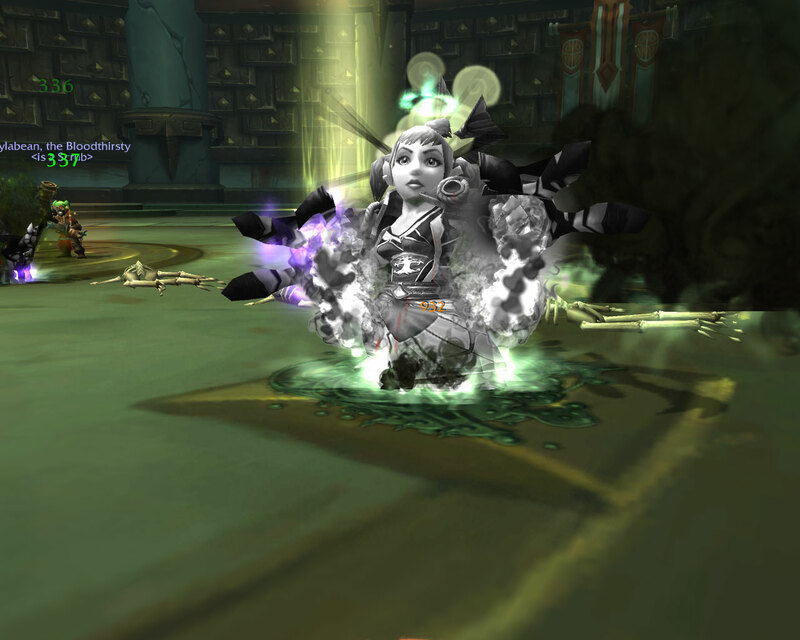 With any luck, Cataclysm will hit Feathermoon pretty bad and she has to be deployed somewhere with fighting and such going on. Maybe the Sentinel Army with their General at their head need to return to Hjyal. Grand Admiral Jes-Tereth: Give the poor girl an navy to play with please. Pained: Less annoying Jaina and more Pained please. After all Jaina just wants to be left alone to study right so Pained should be allowed out to play in her place. Grizzly Hills. From the music to the quest lines, I love this zone. Desolace. Isn’t as gloomy and depressing as it’s name suggests. 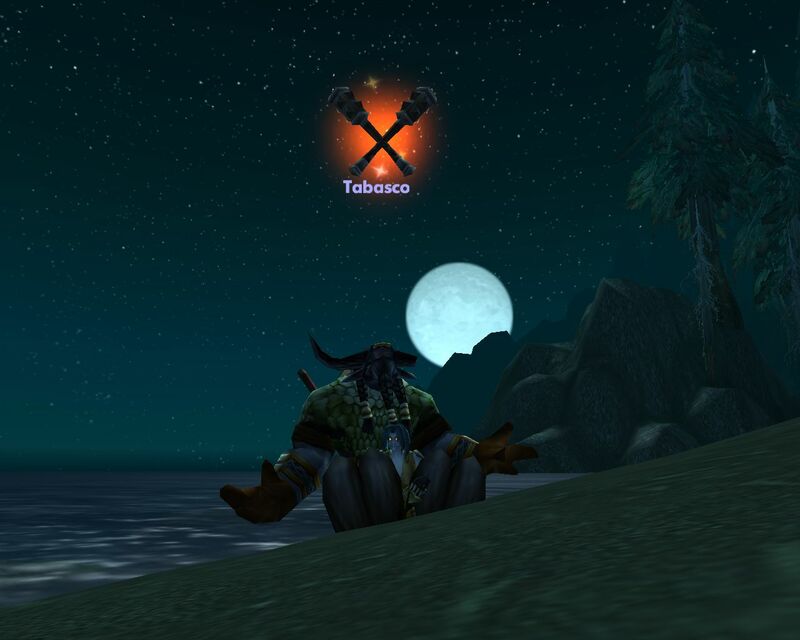 Darkshore. Not to be confused with Darkshire. Has sea monsters lurking off the coast and can look absolutely beautiful at sunset. 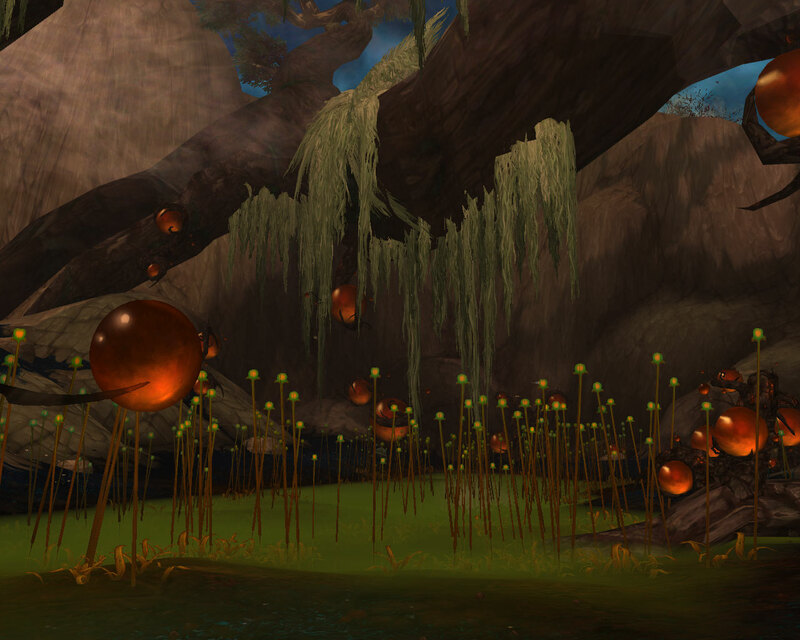 Eastern Plaguelands. EPL has always been fun. Picking up Blood of Heroes for the first time and getting two dead elites to the face. Bumping into the Crimson Courier and friends.. always good for a laugh. 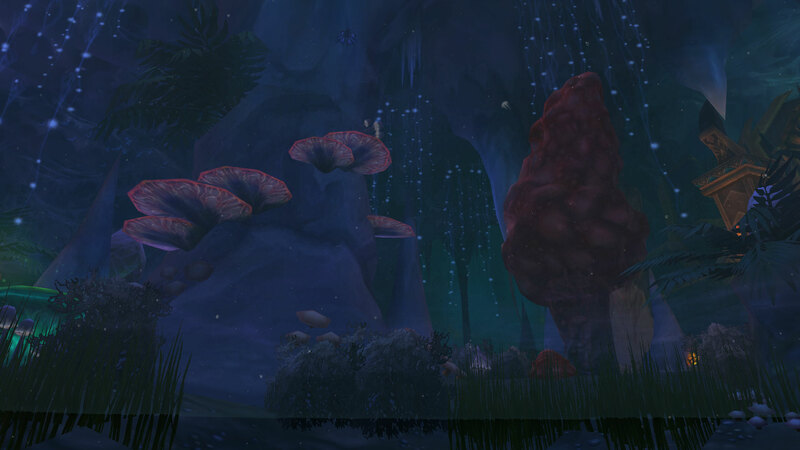 Then there is the dismal feeling to the zone, all giant fungi and ghosts. It’s home to the most epic of quest chains, The Battle of Darrowshire which makes me cry everything I either watch Cranius’s video or do the quest. Feralas. Lush, green and beautiful I can’t help questing here. Silverpine Forest. It’s creepy, creepy is good. Westfall. Bright, breezy and relaxing. Just the spot for taking a picnic or spending a relaxing break. 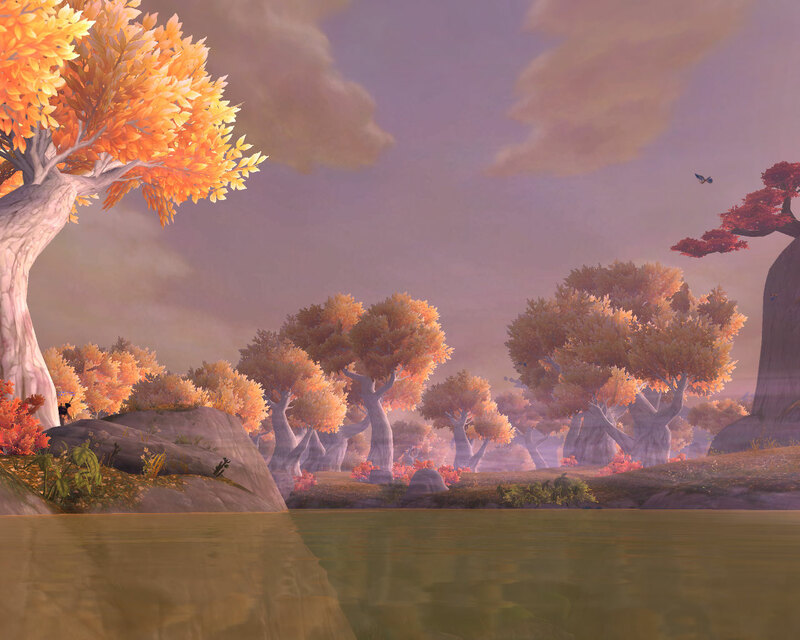 The Barrens. Home to zebras and giraffes which my hunter wants to be able to tame come Cataclysm. Sprite Darter Hatchling. Wtb more quest chains which reward you with mini-pets. Siamese Cat – The first mini pet Erinys ever got. It dropped on her first ever clear of the Deadmines. Add in the fact that I’ve loved siamese cats since I first saw Lady and the Tramp as a small child and this was the perfect pet for her. Darting Hatchling. 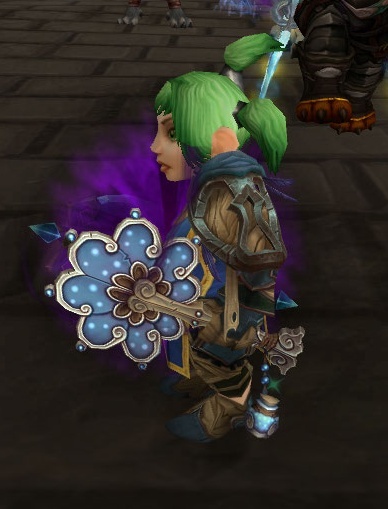 My Gnome warrior has this as her main pet and it’s adorable dust cloud as it sprints off makes me jump every time I catch it out of the corner of my eye. Naxxramas. Gothic Architecture, green goo and dancing, you can’t go wrong with that. Mr Bigglesworth needs to be a boss though. The Scarlet Monastery. “Arise my Champion!”. The Deadmines. 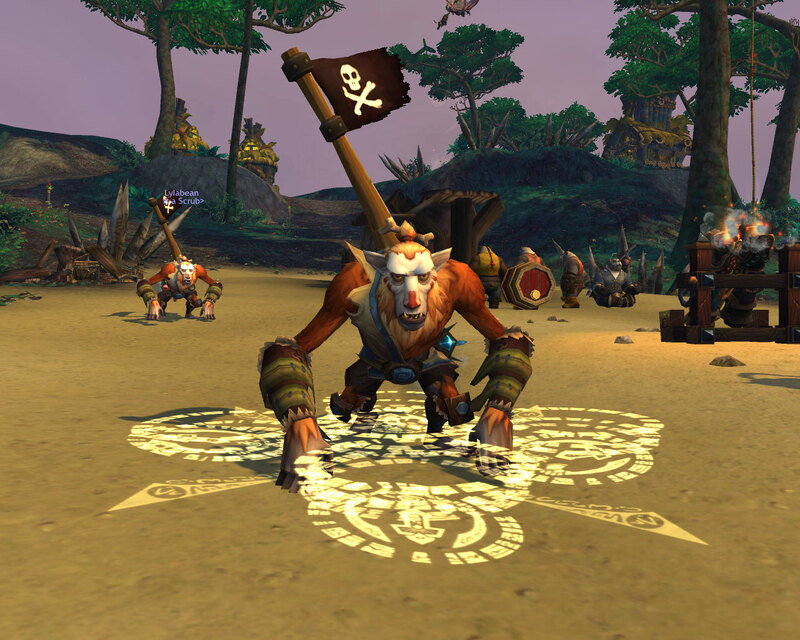 With a murloc chef, pirates, killer parrots and a whole ship hidden in a cave, the Deadmines ticks all the boxes. Dire Maul East and West. North isn’t worth a mention because it’s full of horrible dirty Ogres but the rest is just beautiful. Plus who doesn’t love an instance with a library. The Black Temple. You can see Azeroth from it’s windows..
Tiers 3/7. Lovely pale colours and a halo. 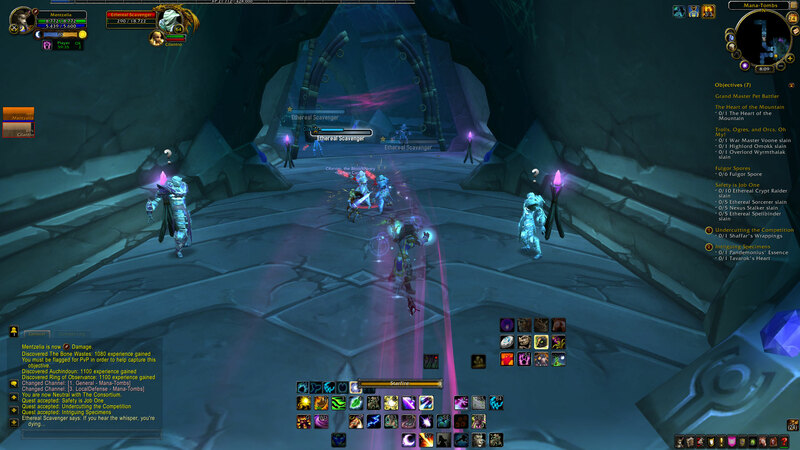 Halos even on Shadowpriests are amazing. Tier 6. Just the thing for evil Priestly types. Faces on your shoulders and a hood of doom. Tier 8. This is the one I learnt to love. It may not look particularly Priest like, but it’s still taking up bank space. A special mention should go to the Devout set and it’s upgraded sparkly lemon version though. Raiding comfort food. All things which can be prepared in advance and ideally eaten with one hand. Smoked salmon and cream cheese sandwiches on rye bread. Celery sticks with humus or more guacamole (at the moment I’m addicted to the stuff and could happily eat it seven days a week). Haribo. Totally unhealthy but gives you a great jelly high for PvP or instancing. Warm strudel, doesn’t have to be apple although apple is good, with fresh cream. A.S. Byatt’s Possession. I had to read it for a contemporary literature class I didn’t want to take in the first place and three or four pages in, I was hooked. Ray Bradbury. I don’t think he’s written a book I haven’t enjoyed reading. They showed us the movie version of “Something wicked this way comes” at school when I was about eight, I’ve avoided ceiling cracks ever since. John Connolly’s Charlie Parker books. I read the first one looking over my shoulder expecting a murderer to come leaping through the window. Yes, I have an over-active imagination but in my defence, at the time we did live next to a 500 year old graveyard allegedly haunted by a variety of ghosts including a bunch of monks. Charles de Lint. Discovered his books entirely by accident in an Canadian airport. It was a happy discovery, although trying to sneak several hardback novels onto the plane as hand luggage was considerably hard work. Audrey Niffenegger’s Her Fearful Symmetry. Little Dorrit, Great Expectations and David Copperfield. Raymond Feist, but especially Magician. Wuthering Heights. Heathcliff was my first ever crush and quite possibly set the tone for my dubious taste in men for my teenage years. I’m going to stop here so I can go off and re-read Charles De Lint’s “Tapping the Dream Tree”, but I’m sure there are plenty of books that I love and have failed to mention. In general I tend to go for scary stuff, thrillers, crime, supernatural. I have pretty much every book Stephen King, Dean Koontz and Richard Laymon have written for example. Despite having run Karazhan countless times on multiple characters, I only recently discovered Medivh’s rather nice bed. Situated at the top of the tower of Karazhan its spacious, bouncy and surprisingly comfortable. The biggest bed in WoW? Who wouldn’t want a bed so big, you need a ramp to get into it. Although if you fell out in the night… those floors look pretty hard. 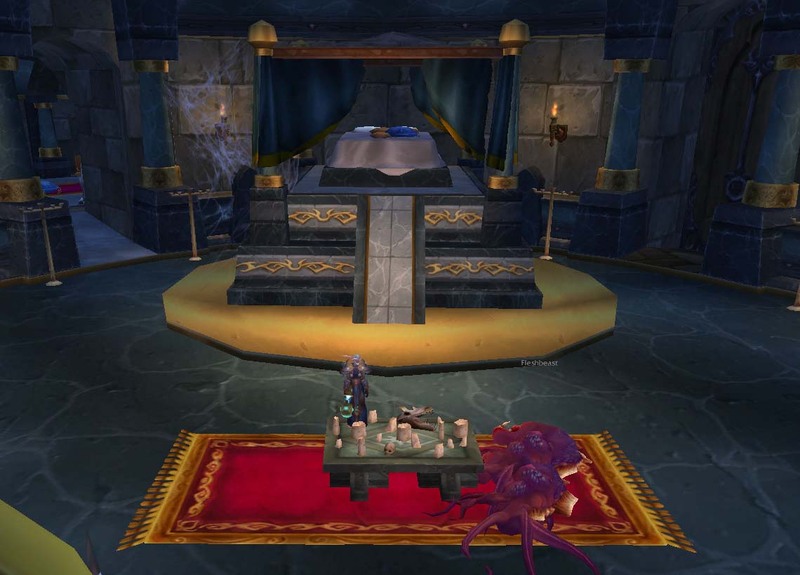 Come to think of it, Karazhan itself would make a comfortable dwelling. Lots of stained glass, big dining room, plenty of guest bedrooms and stables for all your mounts. Sure you might get the odd unwelcome guest and the ghosts might complain about new ownership, but for that library, I think its worth it. As long as they aren’t all copies of Middlemarch in different languages. That would be hell. Sorry. Although I’m biased. Karazhan is probably my favourite Burning Crusade instance. Its creepy, gothic and full of ladies of the night. Wonder if Middlemarch would be more bearable if a Night Mistress read it to me? Hmm, think my Priest is going to have to relocate to the Deadwind Pass.